Here is another super fun pattern for you guys. Long tail cast on 24 stitches. To see how to cast on, look at my previous post for a step by step photo guide. 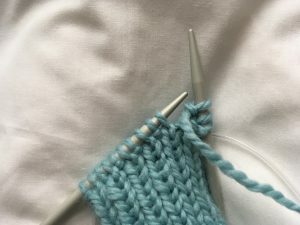 After you have cast on, knit fourteen rounds of K1, P1 ribbing. 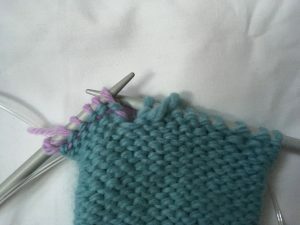 Your next round will have the increases, you will need to increase 4 stitches evenly across the round as you purl. 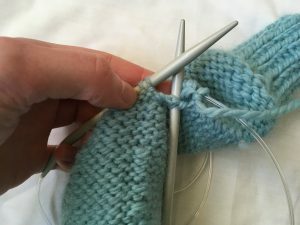 Total number of stitches at the end is 28. 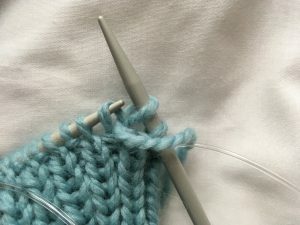 Now for your thumb row, you will purl until there are six stitches remaining. 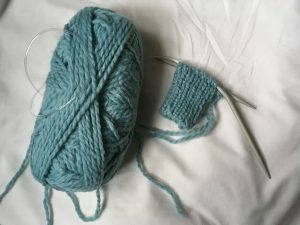 You will then get a piece of scrap yarn and purl the remaining six stitches. 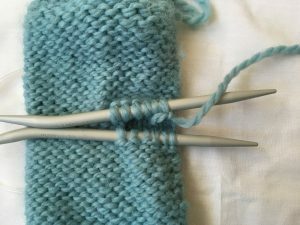 Once you have purled these, carefully slide the six stitches back onto your left needle. Tie the scrap yarn so it doesn’t unravel. 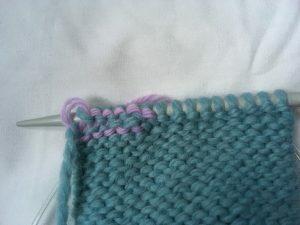 You will then purl back over these six stitches with your main colour yarn. Continue purling for 25 rounds. 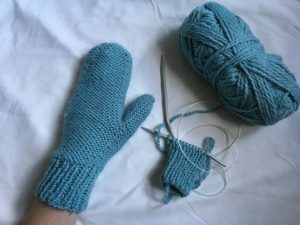 Below are the decreases for the top of the mitten. Round 1: p5, p2tog – repeat until end of round. Round 2: p4, p2tog – repeat until end of round. Round 3: p3, p2tog – repeat until end of round. Round 4: p2, p2tog – repeat until end of round. Round 5: p1, p2tog – repeat until end of round. Round 6: p2tog – repeat until end of round. 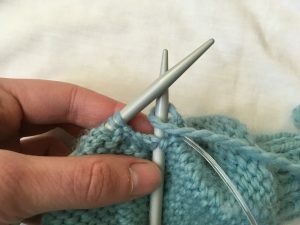 Cut yarn and thread a sewing needle, slip remaining stitches onto the sewing needle and pull tight. Sew in the end so that it is secure. 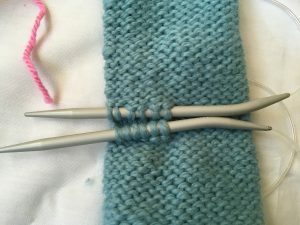 Carefully untie your scrap yarn and slip the six stiches from one side onto a needle and the other six to a different needle. 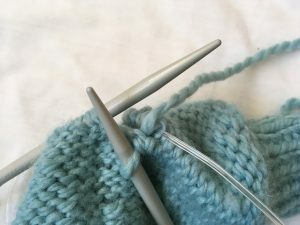 You will then purl the six stitches, pick up one stitch, purl six stitches and pick up one stitch. 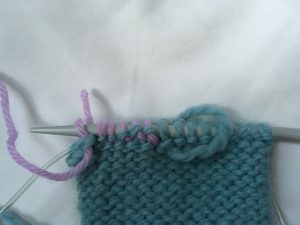 The picked up stitch will be in the little gap between the six stitches. Repeat for a second mitten. 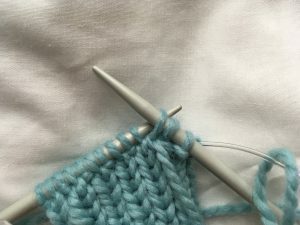 Don’t forget to tag me in your photos when you have knit these.